The agenda has launched. Discover sessions from a huge range of topics across APEX, Database, Development, Middleware, Analytics, EPM, Business Intelligence, Oracle E-Business Suite and much more. All delivered by experts in the industry. Our team is very much comprised of a creative and forward-thinking experts in Oracle technology, specialised in APEX, Forms and Data Warehousing. Furthermore, we also offer comprehensive database Managed Services that will ensure the security and stability of our clients business. We are an Oracle Approved Educational Centre since 2015. Our consultants on average have over 10 years of experience. The world is changing, with the global marketplace presenting ever more complex indirect tax obligations for businesses. That’s why we created inFlyte™ - our fully automated, rule-based indirect tax determination solution for Oracle R12 and Cloud ERP. Featuring RapidInstall™ technology, we are able to implement automation solutions up to 80% quicker than conventional consultancy firms. Join us to find out more! Worried about reporting from Oracle Cloud? Do you need to report from both Oracle Cloud and EBS? What about Database? Then SplashBI is the right solution for you. Come and say hello at OUG Scotland and let us demonstrate how easy it should be. 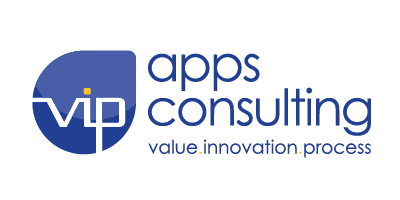 VIP Apps Consulting provides Management Consulting, Business Process Management (BPM) and Oracle Consulting Services. Operating in the intersection of technology and business, VIP Apps Consulting combines an experienced team, with their unique AMOBI methodology to deliver Value, Innovation, and a Process (VIP) based focus to improve and align your enterprise strategy, business processes and IT solutions as one holistic organisation. Step outside Glasgow Central station and you're there. This contemporary, colourful conference centre is an exciting home for OUG Scotland 2019. It's time to get inspired.